Always on the look out for something different – Brian from OH! Burgers was mulling on something new and different on his menu. His sweet potato chips have been a customer favorite since he launched in the Spring of 2012. Taking the sweet potato core of his menu to another level, Brian launched OH!-Nuts this month. 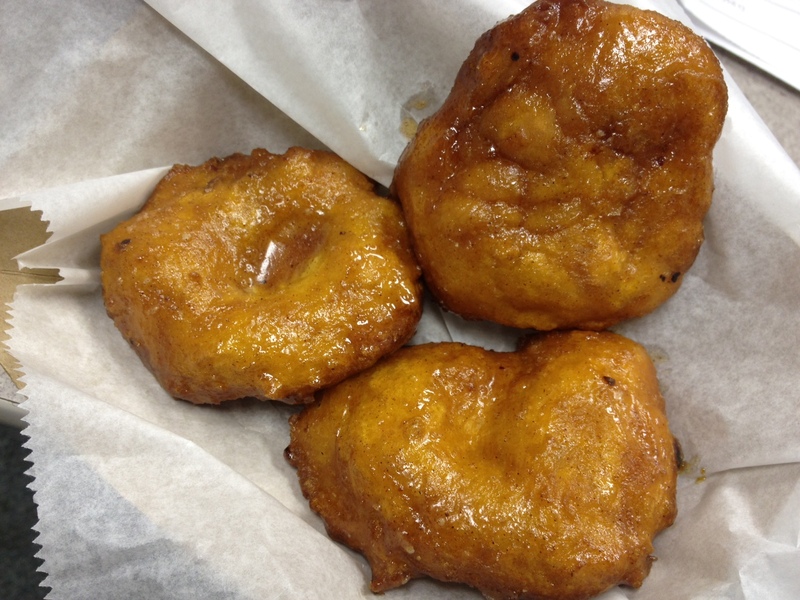 Sweet Potato donuts served as a side. 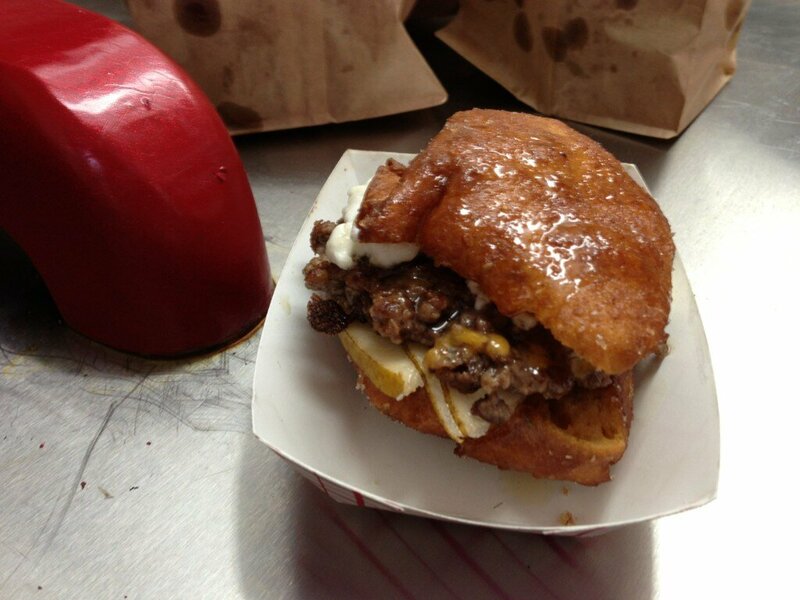 For the culinary daring there is the OH-Donut-Burger. Here is a review from Wasserstrom written after the world premiere at their site. Today I tried something new the “OH” Donuts! Let me tell you, at first sight I think I was imaging my hips getting bigger just from the way the donuts looked. Glistening with caramelized brown sugar atop a big round ball of cooked sweet potato infused dough. What I didn’t know was how I was going to be surprised by the light taste of this donut. I expected something heavy and overly sugary, but what a got was something that slowly melted in my mouth with just a hint of sweetness. And just like the sweet potato chips these donuts compliment the OH mini burgers very well as a light desert after you indulge yourselves in the “OH” Burgers.